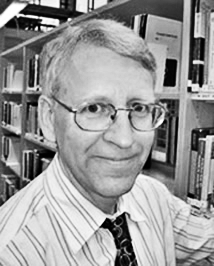 Prof. Erik Dahlquist has a background from working for ABB 1975-2002 in different Project leader and management positions. He was tech project leader for development of the CR-filter, now a commercial product of Metso Oy since 1992. Project manager for Black liquor gasification development at ABB1990-1994. Member of board of directors at ABB Corporate Research 1992-1995. Global product responsible manager at ABB Process Automation for Advanced control, simulation, optimization and special sensor towards Pulp and Paper industry 1996-2002. Professor and Research director for MDH research profile Future Energy since 2002. Member of the Swedish Royal Academy of Engineering since 2011. WP3 Technology leader in FP7 project PLEEC 2013-2016 and earlier WP leader in the EU FP6 DOTS project on Paper mill optimization 2001 -2004. Chairman of SIMS and program chair for Eurosim 2016 in Oulo.